Hamilton Sheriff Court heard of scooter theft. A youth who stole a mobility scooter has avoided a custodial sentence at Hamilton Sheriff Court. The teenager, who doesn’t turn 18 until April and so cannot be named, admitted taking the scooter from Pollock Street, Mossend, last June after finding it unattended and making no effort to find the owner. After studying background reports, Sheriff Ray Small put him under supervision for one year and ordered him to do 150 hours of unpaid community work. 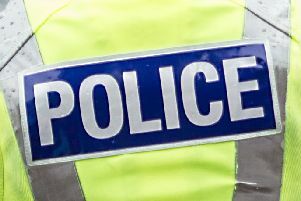 The youth also admitted that, while acting with an unknown accomplice, he stole tools and a wheelbarrow from a vehicle in Centenary Crescent, Bellshill, in September.